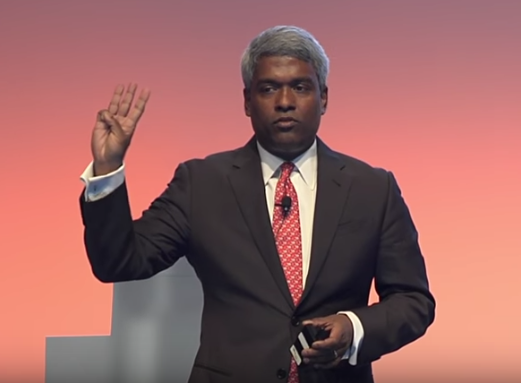 Thomas Kurian, President of Oracle Product Development, delivers a keynote address at Oracle CloudWorld NYC 2017. Kurian details the best-in-class services of the Oracle Cloud across SaaS, PaaS, and IaaS and in your own data center. Watch the video here. Slides and demos will become available for partners via the communities in the next weeks. Please see partner community details. below. Want to try the Oracle PaaS Service? Want to know how you can position your services around Oracle PaaS? 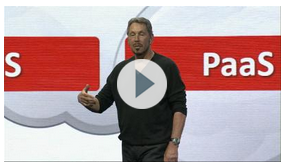 Want to learn more about Oracle PaaS Services? For regular information about Oracle’s PaaS and Middleware solutions become a member in the SOA & BPM Partner Community for registration please visit www.oracle.com/goto/emea/soa (OPN account required) If you need support with your account please contact the Oracle Partner Business Center. For regular information about Oracle’s PaaS and Middleware solutions become a member in the WebLogic Partner Community please visit: http://www.oracle.com/partners/goto/wls-emea ( OPN account required). If you need support with your account please contact the Oracle Partner Business Center. Expectations of business-driven IT are higher than ever and changing rapidly. Words like agility, mobility, digital, data, cloud and customer centricity are common and constant from Line of Business (LOBs) executives like CMOs. Today’s business must move at the pace of – scratch that – ahead of the pace of today’s consumer. Businesses must anticipate customers’ needs to be truly customer-centric organizations. Innovation through the cloud is a big force driving customer experience and customer centricity. Here’s another word of importance: collaboration. And collaboration is essential to make a successful business-led technology transformation. Today’s CIO will play a pivotal role in crafting that collaboration between IT and business leaders. Unfortunately, the process hasn’t taken root just yet. According to a recent ZDNet article, research shows that confidence and collaboration between LOBs and IT is not strong. The article cites a new CIO Magazine survey showing that 54% of business leaders view IT “as an obstacle to their mission.” Forrester research shows that less than half of marketing managers collaborate with IT when developing a technology strategy. And our Oracle study revealed that less than 1/3 of marketing and IT executives surveyed reported collaborating “frequently,” while at the same time noting greater success when they do collaborate. Kurian believes the CIO will play a pivotal role with collaboration, cloud and business transformation. In this video he states “cloud actually empowers CIOs to take the lead with innovation.” He goes on to say that today’s CIO role is not diminished just different, requiring a new business mindset. The CIO is very much essential to this new digital, customer-centric business revolution. Cloud is the future of business transformation; CIOs will play a key role. As Kurian says, CIOs are extremely important to their executives and businesses, and the cloud empowers them to take the lead. The best CIOs in the industry are beginning to grasp that and train their staff to become experts in cloud technologies. For more on cloud innovation, read Oracle CEO Mark Hurd’s recent piece on how cloud is revolutionizing business in four key areas. This is just one entry in a series of blog videos with Kurian. Oracle Social Cloud Group VP Meg Bear spent the day recently with Kurian discussing everything from the changing role of today’s CMO and CIO, to data and innovation, to the importance of user experience. 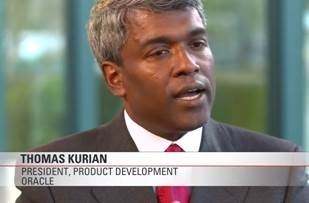 Check back each week as we feature a new video with insights from Kurian on how Oracle is partnering and co-innovating with our customers to help pave a path of success and deliver consistent, rewarding and exceptional experiences for their customers. Watch the video here. Make Oracle Fusion Middleware a cloud platform for digital business! Take bespoke Apps, Packaged Apps or Cloud Apps and build REST API to make them available for mobile devices. With this new cool über middleware PaaS service Larry will be able to build an application in his Wednesday keynote! Otherwise stop by at 7-Eleven they can help you!